In an HBJ post from February (6 February 2012), Christopher Dore noted a recent report from Colorado that summarized the economic impacts of preservation on local and national economies. Reports like this have become increasingly common as many become more aware and accepting of the positive benefits of preservation. 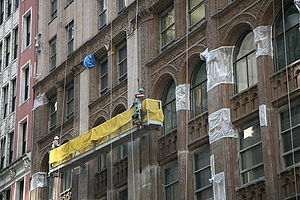 Just during the recent economic slump in the U.S. economy, similar reports have emerged out of Nebraska, Washington state, and Pennsylvania, to name a few, followed in November 2011 by a report from the Advisory Council for Historic Preservation (ACHP), an independent federal agency.